Hands-On Horticultural Training at its Best! There’s no substitute for experience. While book-learning is important, every horticulturalist (whether professional, student, or home gardener) can use some hands-on training. If you’re looking to expand your practical knowledge of plants in a beautiful setting, then Forestfarm at Pacifica has a place for you! Our facilities offer a perfect environment for learning, owing to our over forty years of nursery experience, 5,000 kinds of plants, friendly crew, knowledgeable teachers and new Botanic Garden ready for development. 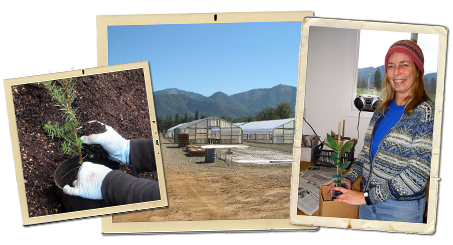 As a member of our Horticultural Internship program, you’ll have access to all of this, plus the beauty of over 500 acres of Southern Oregon landscape. Forestfarm at Pacifica is the result of the recent cross-pollination of two beloved Southern Oregon institutions: Forestfarm Nursery and Pacifica Garden. Forestfarm Nursery, one of the foremost mail-order nurseries in the country, grows over 5,000 different kinds of hardy shrubs, trees, perennials, fruits, ferns, and grasses, offering an excellent opportunity to learn about plants and help to maintain an important genetic resource. In addition to more than forty years of experience, Forestfarm has a friendly staff to help you learn in a relaxed environment. Pacifica: A Garden in the Siskiyous was established as a non-profit in 1998. Peacefully (or “pacifically”) enfolded in 540 rolling acres in the beautiful and amazingly bio-diverse Siskiyou Mountains of Southwest Oregon, Pacifica has primary commitments to education, plants and the environment. 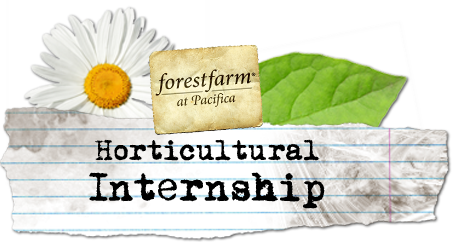 Forestfarm at Pacifica offers a unique internship opportunity; housing is available. Work for 3-12 months for $9.75/hour. Basic plant identification will focus on learning to identify a large number of plants: Forestfarm grows over 5,000 kinds of plants. Production of nursery plants from potting to culture (fertilizer, watering, climate) will be covered during this internship. You can learn a little something about business, nursery management and marketing. Basic design concepts and irrigation information will accompany a small hands-on Botanic Garden landscape project. Choose a project of interest especially to you and accomplish it from beginning to end by yourself, with consultation and help as needed. A limited number of accommodations will be available with bathroom, kitchen, laundry and Internet included. Bird watching, fishing, horseback riding, and much more! Williams, Oregon is a rural area (once a gold mining town) in a lovely scenic valley favored by artists, musicians, and horticulturists! 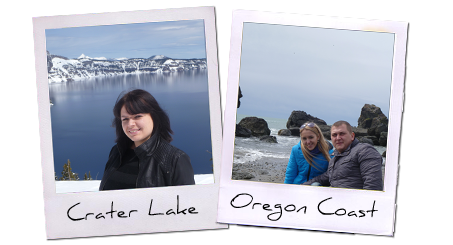 It is a 25-minute drive to Grants Pass, 45 minutes to Medford. High temperatures may reach the 90’s during summer, but nights are cool (usually in the 50’s) – perfect for sleeping. If you are interested in an internship or would simply like more information, please feel free to contact us! We look forward to having you join us on this adventure! The application period for 2017 internships will end when the positions are filled. 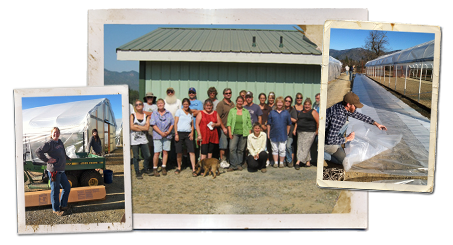 If you’d like information on future internships, please call us at 541-846-7269 or email plants@forestfarm.com. Thank you.